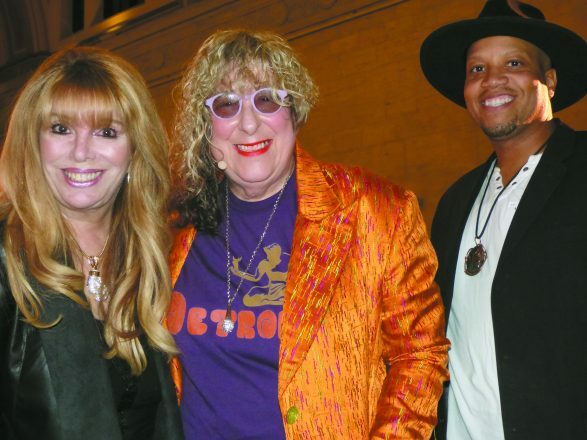 Jackie Kallen of West Bloomfield, former Detroiter Allee Willis and “The D” co-writer and co-producer Andrae Alexander, both of Los Angeles. Do you remember, the 28th night of September? Love was changing the mind of defenders. While chasing the clouds away. Multimedia artist Allee Willis — writer of many hits including Earth, Wind & Fire’s “September,” “Boogie Wonderland” and the theme from “Friends” — has been defending “The D” from her kitschy Pepto-Bismol-pink house in North Hollywood, Calif., for more than 40 years. “I was so tired of people saying bad things about Detroit,” says Willis, a Grammy, Emmy, Tony and Webby award-winner and nominee who does not know how to read, play or notate music. So, she wrote, arranged and produced “The D” with Andrae Alexander and got 5,000 Detroiters — “the greatest number of lead vocalists ever assembled on one recording” — to sing the song. 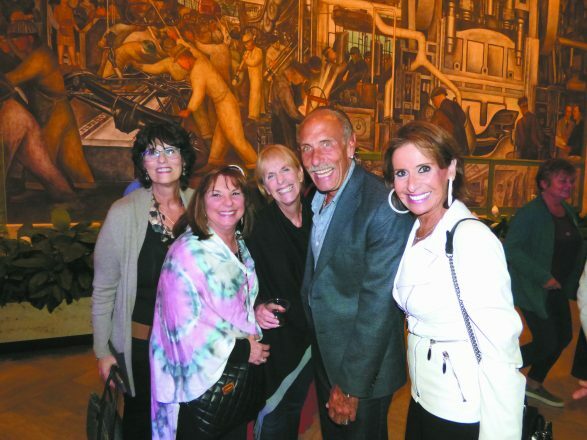 Over the past five years, Willis flew back and forth 30 times from L.A. to Detroit to record and film 70 sing-a-longs in Detroit locations, including the Detroit Institute of Arts (DIA) where Willis threw a party open to all on Sept. 28 for the song and mini-documentary unveiling. Some of her fellow Jewish friends from Mumford who are singing on the record include bestie Sherry (Erman) Stewart, Joanne (Parr) Kraft, Karen and David Disner, Marsha (Diem) Fischer and Marcy Feldman. 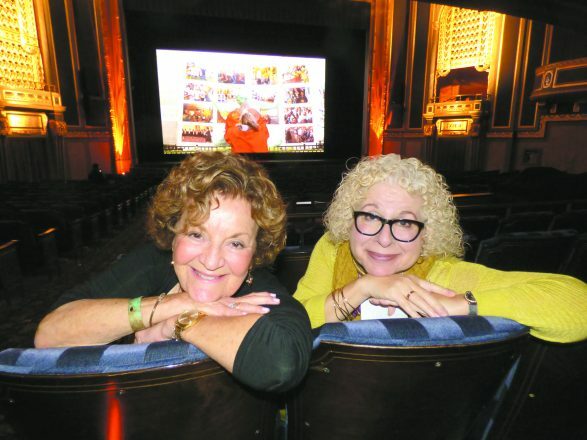 “The film is an amazing technological birthday card to Detroit,” said Feldman who’s featured twice on the recording — at the Heidelberg Project and at Pasteur Elementary School where she is president of the alumni foundation. Willis spent Rosh Hashanah and Yom Kippur with Stewart before flying home to L.A. on Sunday. She will return to Detroit for a week when the Tony Award-winning musical, The Color Purple, which Willis co-wrote and won a Grammy Award for the Best Musical Theater Album, comes to the Fisher Theatre Nov. 7-12. 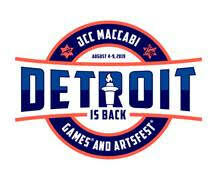 One of the performances will be a fundraiser for Mosaic Youth Theatre. 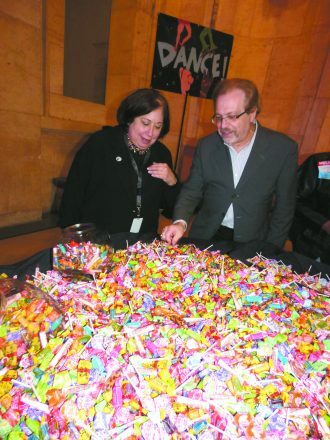 Susan Moiseev of Southfield and Huntington Woods resident Grant Wolach, a pianist at the Whitney Restaurant, where one section of the song and video was filmed. 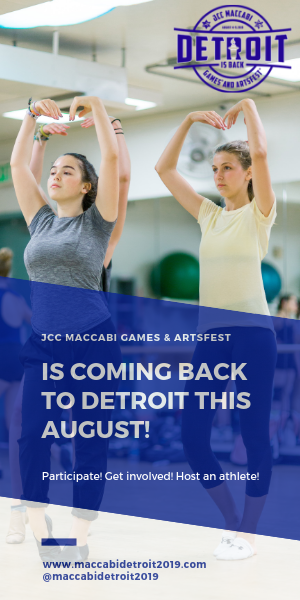 West Bloomfield friends Andi Sklar, Bev Tepper-Wallace and Karen Gunsberg and Bloomfield Hills residents Les and Lili Gold. Sklar sang at Temple Israel for the video, and Les Gold and his son and daughter sang at his American Jewelry & Loan Company in Detroit. Huntington Woods residents Donna Perlman and Marcy Feldman sang on the video at the Heidelberg Project and Pasteur Elementary School. Watch “The D” on YouTube and buy it on iTunes.